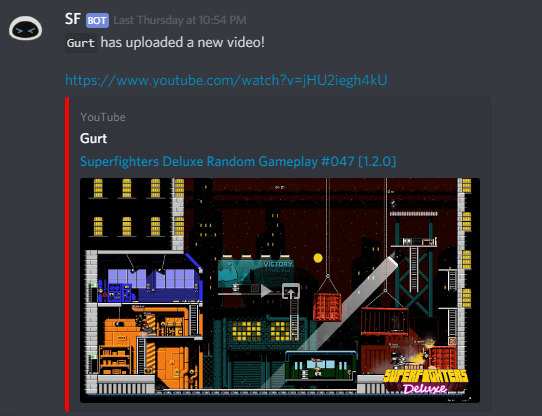 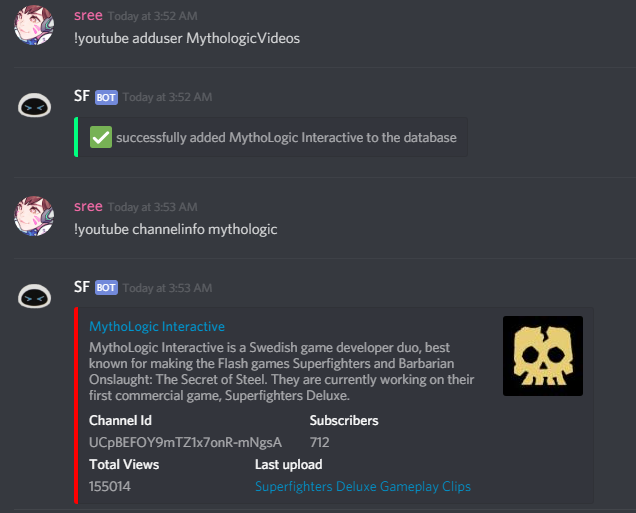 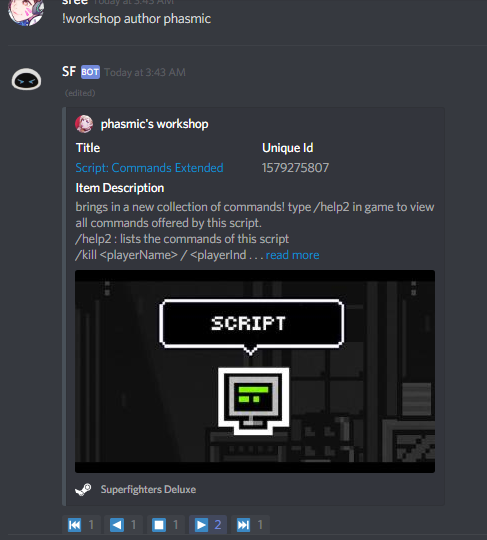 Hello, ehm hopefully I don't get warned for not giving a descriptive title to the thread, but yeah this thread is about a discord bot I am working on. 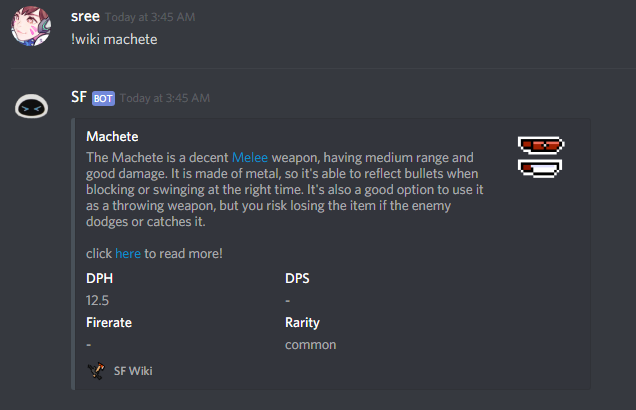 so.. what is the bot for? 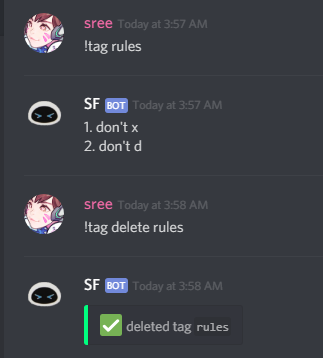 the bot can kick, ban, mute members, prune messages and perform a whole lot of administrative commands! 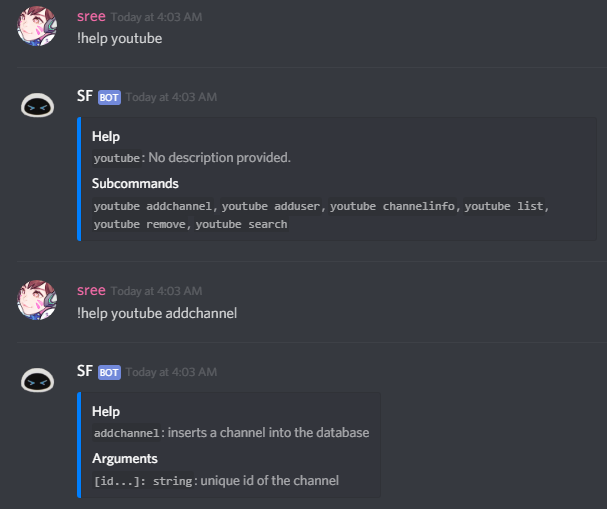 well uhm yeah any bot can do that, so why is it here? 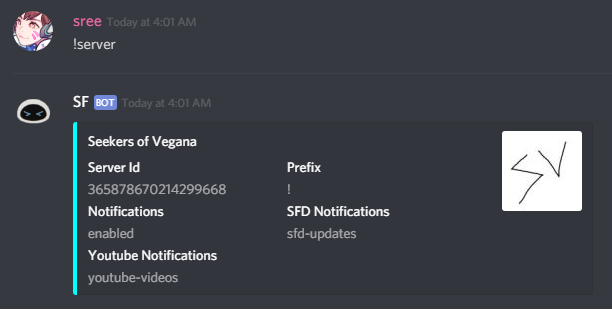 what does it have to do with sfd? 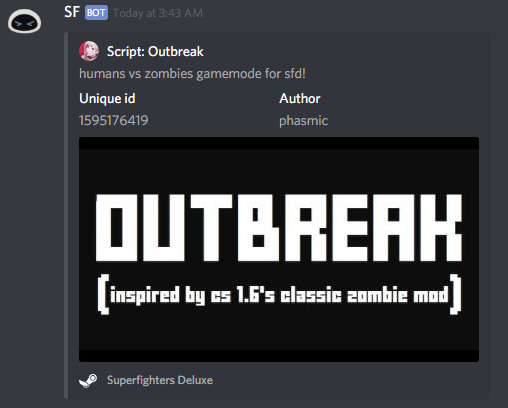 well.. it's written in C#, the same as sfd! 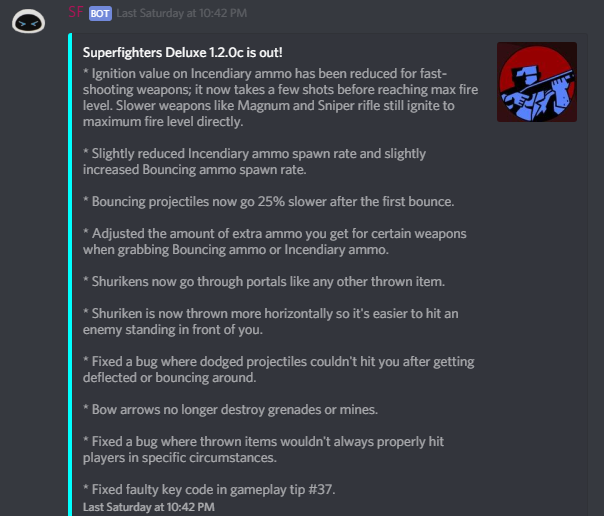 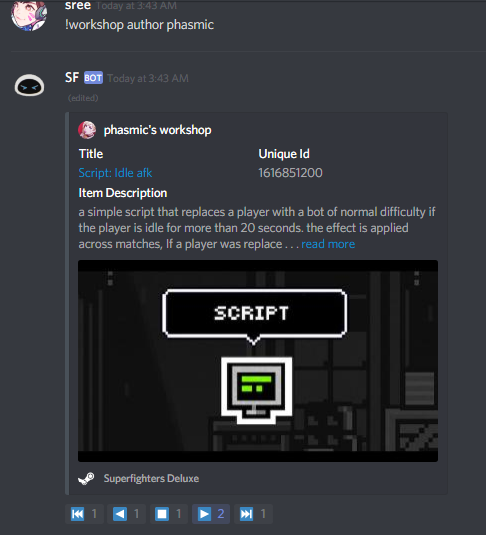 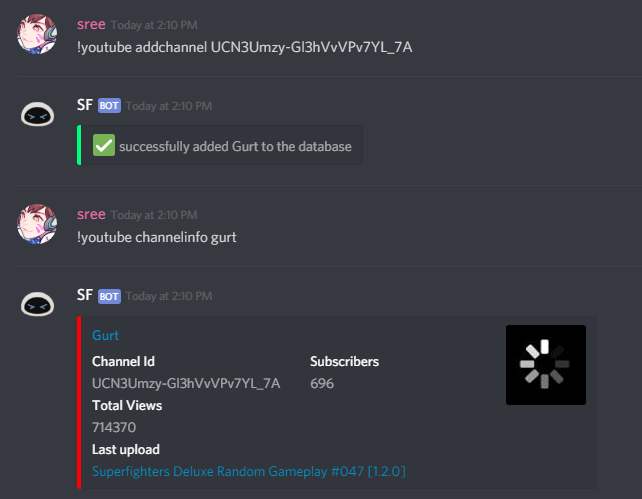 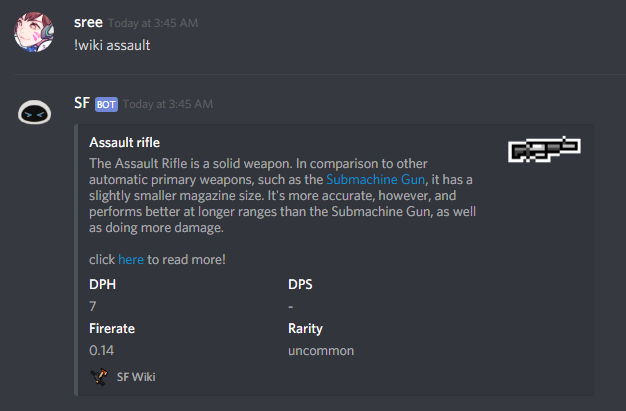 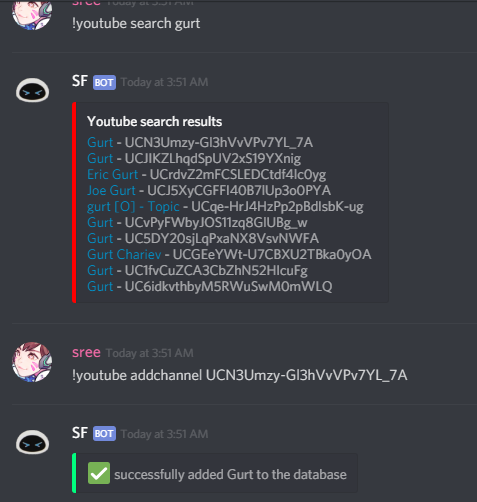 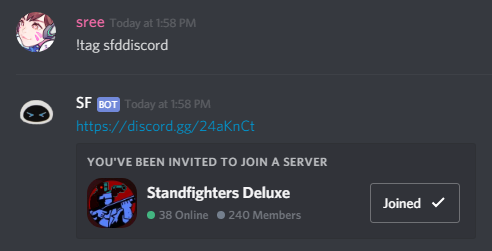 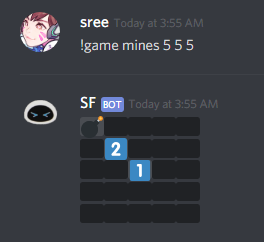 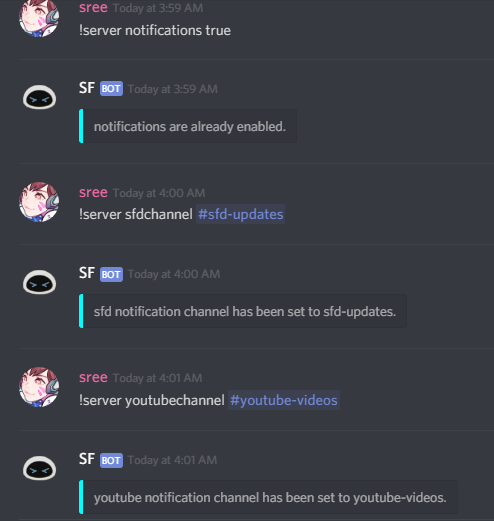 haha yeah ok I am totally kidding, It can do all of those mentioned commands but that's not what the bot is for, the bot has a unique set of commands that make it suitable for sfd servers and lets get into it! 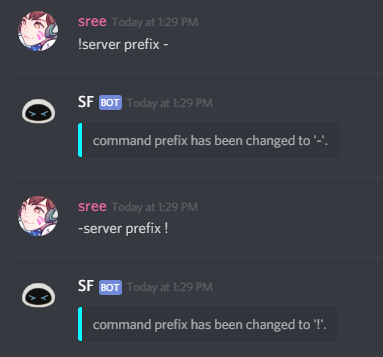 so lets start with the server commands, these are the commands used to configure the bot to fit your server. 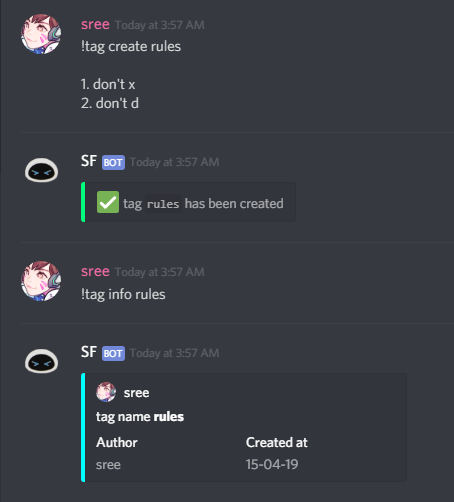 tags are basically key value pairs, you can create tags with a tag name and a content that is displayed when the tag is invoked. 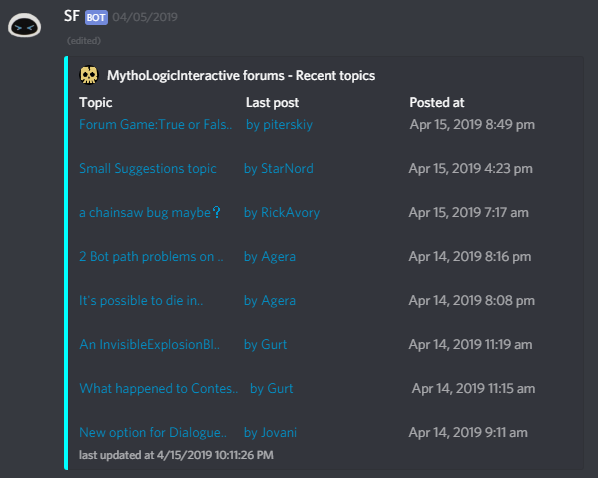 Last edited by Sree on Tue Apr 16, 2019 11:33 am, edited 6 times in total.